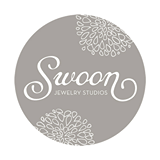 Swoon Jewelry Studios - Get Involved. Make Friends. Enjoy Motherhood. We make handmade jewelry for moms, dads & grands! Located in Louisville Colorado we have a selection of one of a kind, personalized and custom pieces in our studio. Design Statements and Story Pieces that celebrate the moments of your life.